Probate courts, among other issues, handle the distribution of assets from a deceased loved one to heirs or people named in a will. When a person dies without a will (the decedent), he or she is said to have died intestate, and the process to handle the distribution of the decedent's estate to his or her heirs is known as intestacy. When there is a will, often times, the entire process can be completed within a few months. Depending upon the circumstances, even without a will, probate proceedings can be completed in a relatively short amount of time. We have handled estates and contested lawsuits in the Bexar County probate courts since 2009. When it comes to probate proceedings, having an attorney that understands the probate courts and probate laws makes your time involved in those proceedings go smoothly and quickly. 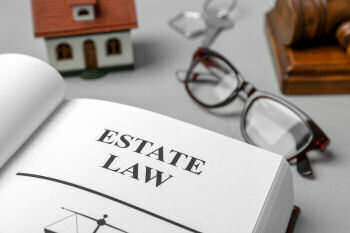 We have the experience and knowledge to competently represent you in your probate or estate matter. Contact us now at (210) 802-9377 for a free consultation or click below for more information on specific issues. I have a trust dispute.